Lazer's Magneto M3 is the latest incarnation of its Magneto system which replaces full arms with magnetic sections that attach directly to the helmet straps. It works, and the third magnet on the new design offers more adjustability than previous versions. As a race or fast riding option they work very well, but they have their idiosyncrasies too. Available in black, gloss white or fluo yellow, the M3 is a three-lens system, with clear and low-transmission lenses and a middle option that works very well for changeable UK conditions. The three lenses pop into the frame easily enough, as do the arms: you get a set of standard arms to hook over your ears, and a set of magnetic ones that attach to strap-mounted magnets on your helmet. They fit a standard webbing strap very well; unsurprisingly they seem to work best on Lazer helmets. And why would you want to attach them with magnets? Well, the glasses don't interfere with your helmet straps and they don't put any pressure on your temples, or rub sweat and dirt in, causing soreness. If you suffer from any of these issues, the Magnetos might be of particular interest, if they work... and they do. These glasses are good at staying put when attached to your lid, and the three magnet positions and the adjustable bridge mean that you get plenty of adjustability. It's easy to find a position that's comfortable and secure. Once you have it, though, you're more or less stuck with it: it's not as easy to make minor adjustments. The gaps between the magnets are fairly big in terms of fit. Optically the M3 lenses are very good, with a wide coverage, and I didn't have any real issues with fogging during testing. The hydrophobic coating on the lenses is effective, keeping them clear enough to see though even in heavy rain. As with the Lazer Walter glasses there were some minor issues with artefacts and extra reflections at times, in this case with the mid transmission lens. It wasn't enough of a problem to cause any issues, but it is there. The mid transmission lens was the one I used the most: it's somewhere between a yellow night lens and a light sunglasses lens, taking the edge off bright sun but also doing a good job of boosting contrast when the cloud takes over. Because the M3 doesn't have full arms, you can't shove those arms into your helmet vents. Lazer supplies stick-on magnets to attach them to instead, which works well on some helmets (Lazer ones are good, not surprisingly) and less on others. That's no different to standard specs though: some combinations work well, some don't. The other thing the stubby arms mean is that you can't wear the glasses at the cafe stop once you've taken your helmet off, which is sometimes a pain, although disappointingly it wasn't that much of an issue this summer. After some time using the magnet system I reverted to the full arms, and for me – I don't generally have any issues with straps, or temple soreness – the glasses were easier to live with like that, offering more subtle adjustability and the option to swap between a bunch of helmets. And they're good, too: solid, comfortable and optically good. The main reason to buy the M3 system over a competitor would be because you struggle with standard glasses for some reason, and if you do it's a clever system that's well worth trying. Lazer distributor Madison says: "The M3 is the third Magneto variation in the Lazer eyewear range. This performance piece is made for the ultimate comfort and ease of use"
They work pretty well with either the magnetic or the standard arms. Magnetic retention system works and is innovative; lenses are optically good. Stubby arms mean you can't wear them without a helmet; some artefacts in mid transmission lens. Would you consider buying the product? Maybe, but they're attempting to solve an issue that I don't find myself suffering from very often. Would you recommend the product to a friend? Certainly, if they struggle with standard glasses for any reason. The M3 system offers good performance, and if you have real issues with glasses fit on the bike they might be a godsend. Overall I found them to be a good set of riding glasses and personally I felt the magnet system made them slightly less adjustable and I didn't like that I couldn't wear them without a helmet. Even if you don't use the magnet arms, they still score well as a high quality pair of riding specs. Given that most eyeglasses slide down your nose when you're cycling hard and sweating profusely, the magnetic retention seems like a good idea. Now, if they'd just make prescription lenses, I'd bite. 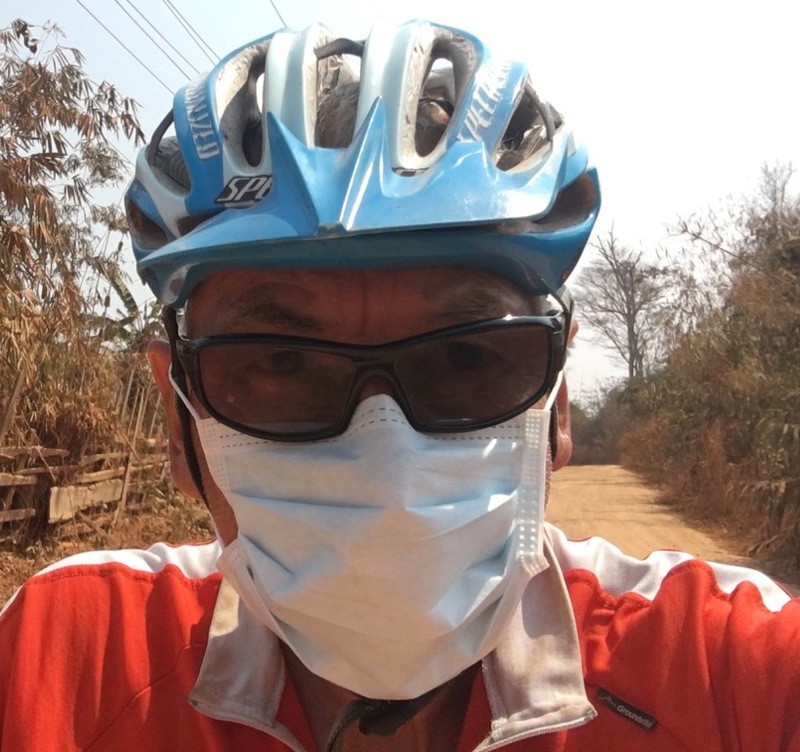 I've being cycling with cycling glasses/goggles since about 1988, I've never had them slide down my nose in any circumstances/extreme conditions. Maybe it's only the hat wearing brigade that suffer these problems? Seems expensive for interchangable lenses. I would have expected a photochromatic lens for that price. The Lazer SS1 might be more your fancy. No fancy magnets like on these Magneto M3s, but they seem like the cheapest photochromatics available (also available in an interchangeable lens version). As far as I can see, the photochromic lens is an option for the Lazer SS1, so you'd pay extra for the lens. ... or a photochromatic Decathlon pair for £29.99?